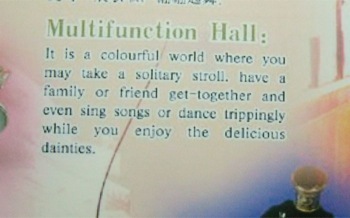 Mmh Dancing “trippingly” they have such a way with words in China or do they? But what do they really mean? I can’t think, can you dear cuddly reader? Does it mean that we are going to glide across the floor, or is it code for the invasion? Who knows what a nation who don’t use capital letters or full stops can get up to?